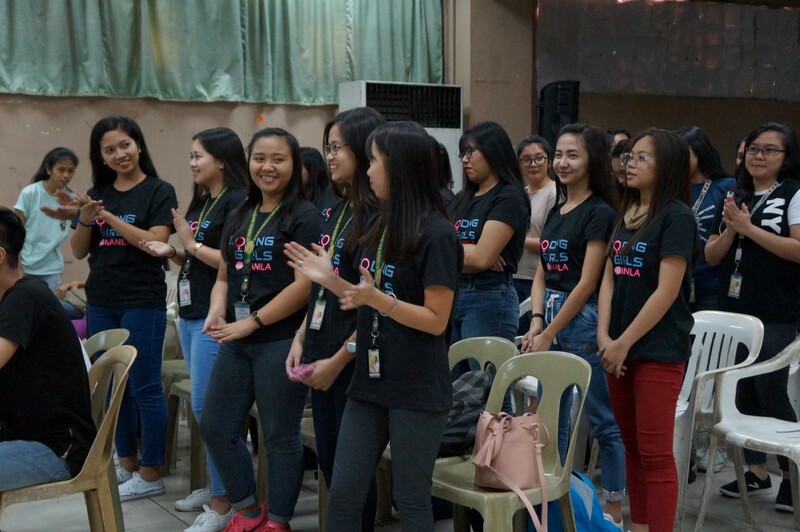 “Innovating Ideas through Empowerment” was the theme during the first campus meetup of Coding Girls Manila held at the Universidad de Manila last February. 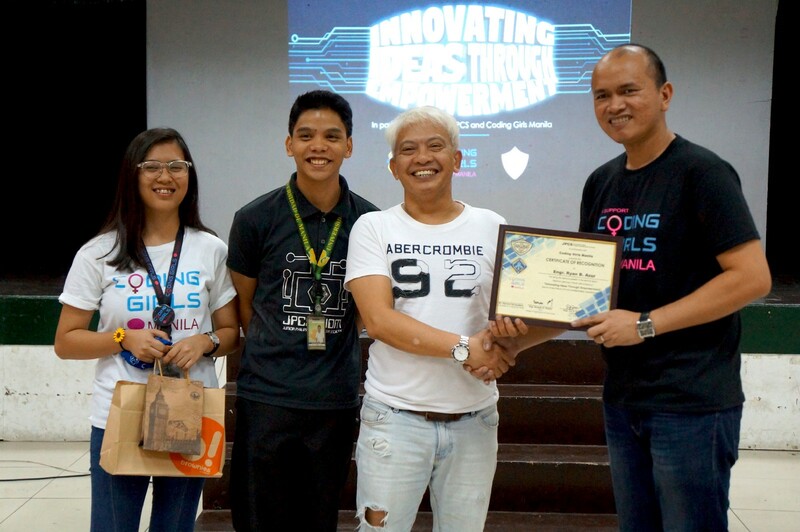 This was a partnership of their campus-based Junior Philippine Computer Society organization. Watch the video coverage here. Introducing Coding Girls, I started by sharing my background in STEM. My love story involved the what, when, where, why, and how I got into this field I’m so passionate about. With the advocacy of empowerment for the diversity in STEM fields, the under representation of women were seen from the statistics. This is something that everyone in the venue agreed upon on. However, I told them that it’s not too late to change the numbers. As technology evolves through innovation, the diversity must also experience a paradigm shift because in order to innovate, half of the population cannot be left behind. Teams of engineers and developers should be composed of men and women represented equally because as both genders work together and share their respective perspectives, incredible things will be built. 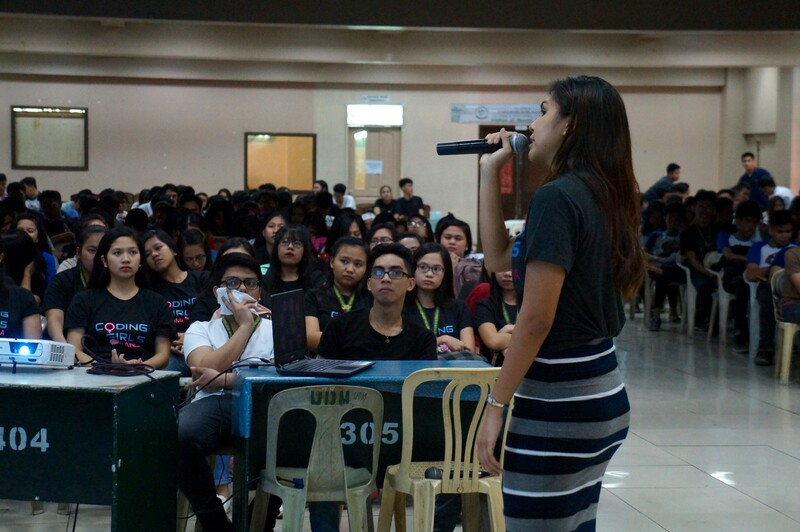 Ending my talk, I told them why Coding Girls Manila exists: to drive innovation and empowerment with the help of code. As the threat intelligence of Cyber Security Philippines, “Milo”, as known by many, shared valuable information to the attendees. His talk included a comprehensive introduction to what CTI is and why is it important. One of the key points highlighted was the significance of information and its utilization. As an appreciation for his mentorship to the UDM students, Mr. Ryan Azur’s efforts were recognized. Apart from being a professor at UDM itself, this man is also a Microsoft Certified Educator and Machine Learning Evangelist. With his extensive knowledge on ML, Mr. Azur showed his students how powerful this technology is. Azure was used as the tool for demonstration. He took a deep dive into what Azure can do. Different applications were showcased which amazed the participants and sparked their interest to know more about machine learning. Duchess Domagsang talking about how’s the future of #WomeninIT looks like. 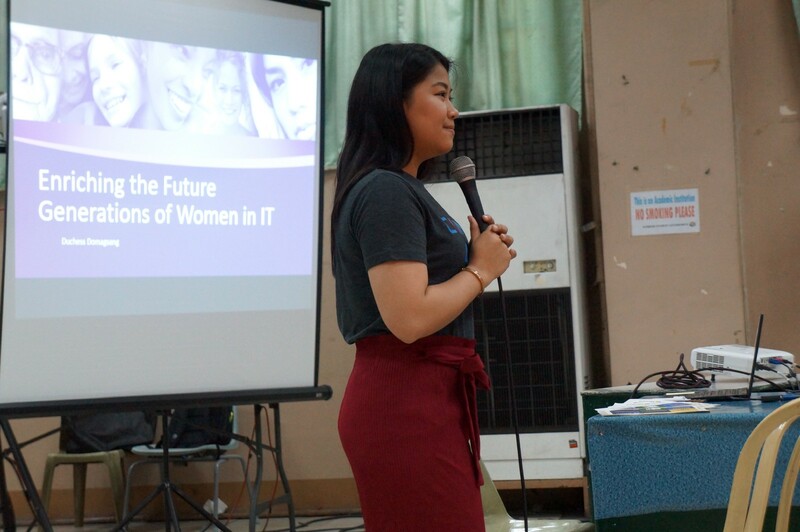 Working as an affiliate account execute in Microsoft Philippines, this woman spends her free time advocating for Coding Girls. The best part of her informative talk was the fact that she mentioned hardwork’s important role in succeeding in the IT industry. She inspired the girls who attended to be more enthusiastic about the future. Through her empowering words, everyone felt that their roles in the industry will be valuable than what they previously thought it would be. I really enjoyed the meetup. It was a great opportunity to meet the girls who were also very inclined towards technology. For me, it was even more special because I related closely to them as a fellow student. This initiative to open campus-based clubs for Coding Girls will even accelerate the shift of the numbers towards a more diverse tech community.